Credit Cards Offering Rewards: What’s in It for Them? Now, if there’s one thing you should know about me, it’s that I’m not one to look a gift horse in the mouth. With that said, though, I have always wondered: why exactly do credit card companies offer their customers cash back rewards? I understand the concept of incentive and making themselves more enticing than the next guy, sure. 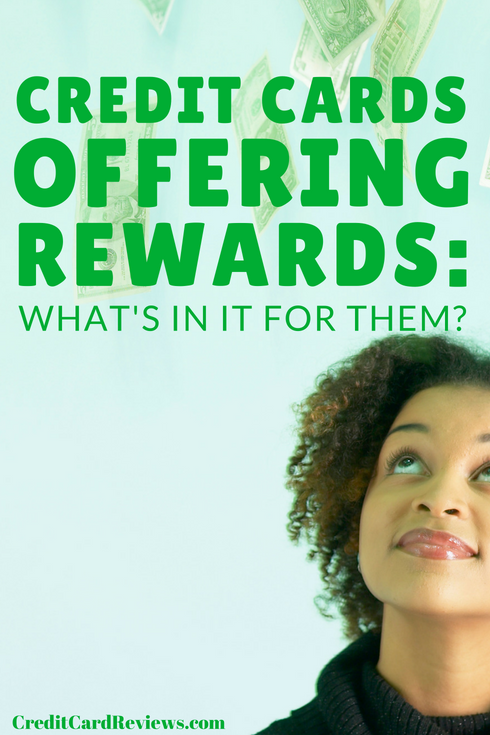 But as someone who earns literally hundreds of free dollars in rewards each year, I have often asked myself, what’s in it for the credit card companies? If this question has piqued your interest, too, here’s a rundown of exactly why credit card rewards are still a sustainable business model. 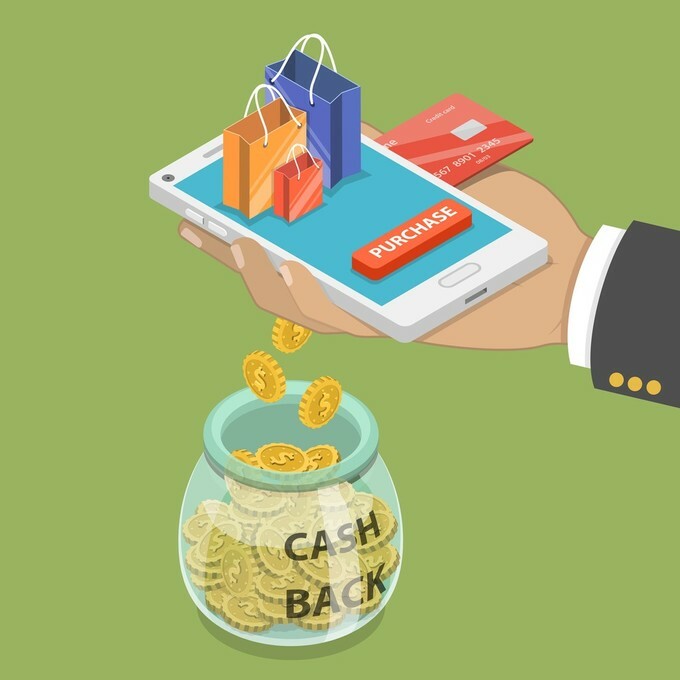 First, the obvious: by offering potential cardholders the ability to earn cash back rewards on their purchases, credit card companies are dangling a pretty carrot. When you carry and spend on a card (or cards) aligned with your spending, you can rake in some serious rewards. Whether in the form of points or miles that can be cashed in, or a cash back balance that can be applied to your statement balance, it can easily add up to hundreds of dollars a year. This is often a good enough reason for a would-be cardholder to choose one issuer’s product over another. After evaluating how much they could earn, subtracting annual fees, and factoring in bonus offers, customers can quickly see which enticing offer is the best of the bunch. This is what I did when choosing my two cash back cards, in fact… and this year alone, I’ve already earned over $1,200 in rewards. Happy customers who are earning hundreds of dollars in free money each year like to continue doing so. This means that they will keep finding ways to optimize their spending on that card, and often stay loyal to the brand. They may even tell their friends, family members, or the entire internet (via a blog like this one) about their awesome experience. After all, positive word of mouth is the best marketing there is. While luring in new customers is important, it doesn’t necessarily pay the bills. For credit card companies, the money lies in collecting interest on their customers’ purchases… and boy, does it add up. If you choose not to pay off your credit card statement in full at the end of the month, your balance will carry over. Introductory 0% APR offer periods aside, this balance will then begin accruing interest. Interest charges can vary from the single digits all the way up to 35% (or beyond!) but are an average of about 16%. Unfortunately, credit card companies count on consumers spending more than they can actually afford to pay off at the end of the month. When these customers carry their balances over from one month to the next, they will continue to build up their interest fees. Thanks to compounding, this can mean hundreds or thousands of dollars in added charges, when all is said and done. It’s not just the interest that credit card companies rely on for their revenue (and to cover those excellent cash back rewards). They also charge fees, fees, and more fees, if you’re not careful. Depending on the card you choose and how you spend on it, you could be subject to an assortment of added fees. There are, of course, annual fees, which are charged each year on your cardholder anniversary. These aren’t ideal but can actually be worth paying (for the right card product), but it is an added charge that the issuer will pocket. Then there are late fees, incurred each time you pay your bill past its stated due date. These can be as much as $38 per infraction, easily adding up over the years if you slip up from time to time. There are fees for foreign transactions, which are usually around 3% of the total purchase you make. There are balance transfer and cash advance fees, ranging from about 3-6% of the transaction total. And there are fees for things like phone payments with a representative, or even for closing your account/letting it sit inactive! Be sure to read your card’s fine print to know which fees you’re subject to and how to avoid them. You don’t want card issuers funding their rewards programs off of your unnecessary fees. Many of us are diligent about our credit card spending, ensuring that we earn maximum rewards while avoiding all interest charges and fees (beyond an annual fee). So, how do credit card companies make money off of us? Credit card companies don’t want you to just let your plastic sit in your wallet, collecting dust. They want you out using it, swiping for everything from groceries and gas to utility bills and coffee. This is why they offer you rewards on the things you buy – they want to encourage each and every swipe. But why? Well, it’s because they make money off of every transaction, from the merchants who actually swipe your card. This is called an interchange fee. Merchants – from corporations like Target to the mom & pop store down the road – have to pay these interchange fees for their credit card processing. That is why you’ll occasionally see small shops with signs stating a minimum credit card purchase amount, or you may even incur an additional fee (usually 2-3%) for using credit. You might also see discounts offered for cash purchases; those merchant fees that they have to pay each time they swipe your card can add up significantly. The actual amount that stores pay in interchange fees varies by their sales volume and the processor that they use. However, it’s usually a base fee per swipe (around $0.10 or so) plus a percentage of the total sale price (2-3%, on average). This means that on your $100 purchase, the store will likely pay your card issuer somewhere between $2.50-$3.00. With fees like that on every single credit card purchase, it’s easy to see why your issuer encourages you to use plastic each time you shop. Even if they are offering you 1-2% back in rewards, they are more than making that up in the end. Between interchange fees from merchants and the interest, late, balance transfer, foreign transaction, and cash advance fees that your fellow cardholders will pay, your credit card company is still doing just fine… even if you are strategic enough to earn hundreds (or thousands) of dollars a year in rewards. That’s why you should avoid paying fees or finance charges whenever you can – not only will it save you money in the end, but you’ll avoid funding the next guy’s rewards!